Look out! Here comes our Mechanical Skateboard Ride! The Mechanical skateboard will make you test your skills making you feel like a real street rider. It is great for all occasion and ages, 200 pounds weight limit. 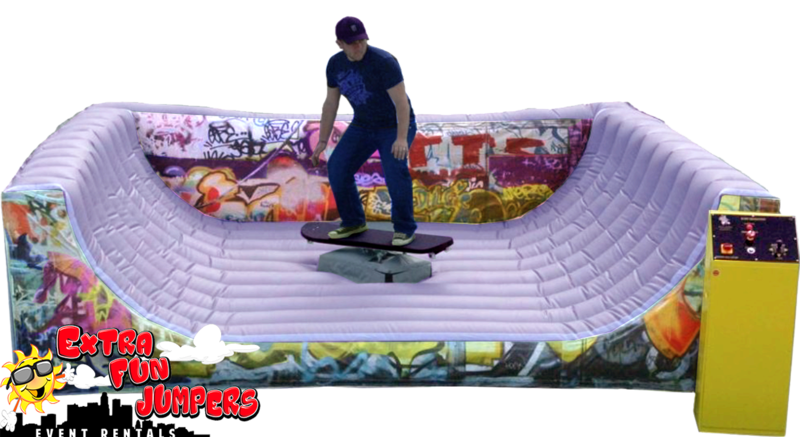 Riders attempt to ride the mechanical skakeboard and battle for the best time against opponents!